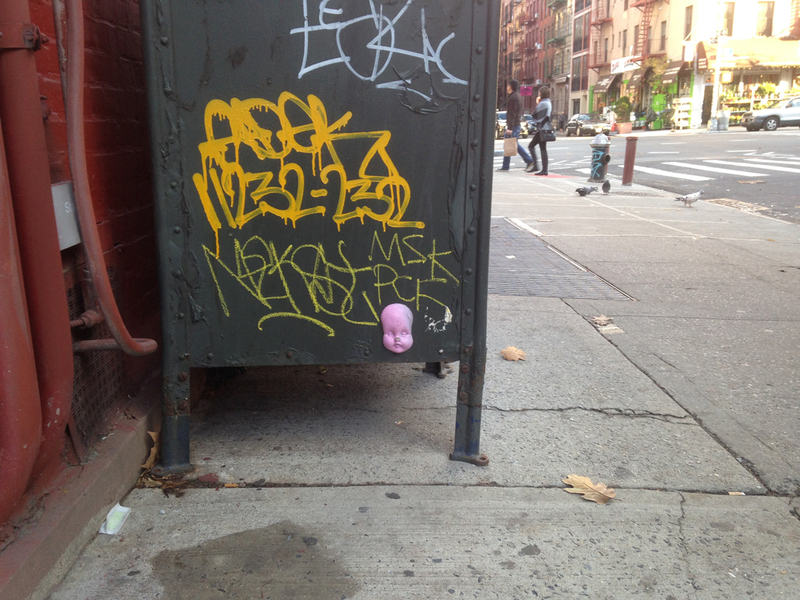 Regular readers of East Village Today will be familiar with the sitings of little pink heads around the neighborhood! That is one big-head baby! You may recognize that this green mailbox is not where it belongs — it's against a building instead of by the curb — and it's not bolted into the sidewalk!